Blood cells and bacteria. 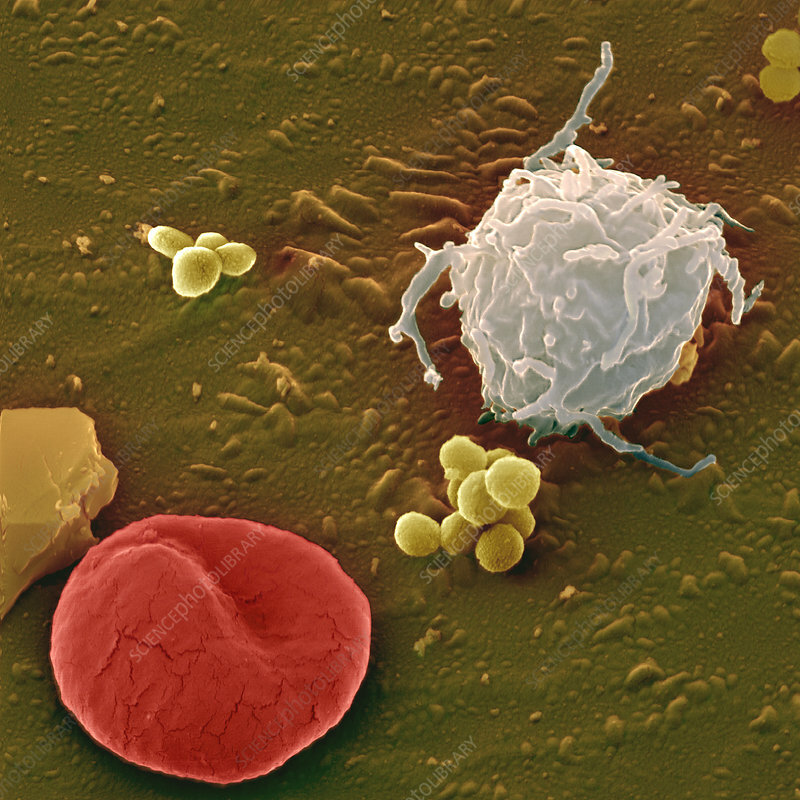 Coloured scanning electron micrograph (SEM) of Staphylococcus aureus bacteria (yellow, round), a lymphocyte (white blood cell) and an erythrocyte (red blood cell). Lymphocytes are part of the body's immune system. There are three types of lymphocyte, B cells, T cells and natural killer cells. B cells produce antibodies that bind to pathogens to signal that they should be destroyed, helper T cells coordinate the immune response and cytotoxic T cells and natural killer cells kill body cells that have become infected with a pathogen.